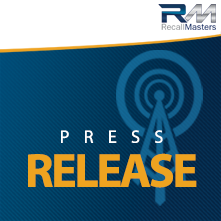 Davenport, IA – February 22, 2017 – Dealer Marketing Services, Inc., the makers of ProMax Unlimited announced today the release of Vehicle Recall, a new feature available within the ProMax platform. Vehicle Recall enables ProMax users to view open recall data on individual vehicles based on their Vehicle Identification Number (VIN). “Vehicle Recall gives our dealer customers access to this invaluable data with just a single click” said ProMax CEO John Palmer. Accurate recall data can prove useful to automotive dealers for a number of reasons, even beyond the core issues of compliance, customer service, and safety. “Vehicle Recall is a tool that can be leveraged in a number of ways” said ProMax COO Shane Born. “Savvy dealers can use it to better evaluate trades, book in inventory, or funnel customers to their service lane in some instances. There are also options to print recall disclosure forms on sold vehicles. It has everything a dealer needs. There are a lot of possibilities”. Dealer Marketing Services, Inc. was formed in 1994 by John Palmer. In August of 1995, ProMax was introduced as a Special Finance software solution. In 1998, the software was expanded to handle all types of desking including new and used vehicle leasing, CRM, finance menus, inventory management, reports, and credit application submissions to lenders. In 2002, ProMax was introduced as the industry’s first Internet-based full front end solution and today is used by over 2,000 automotive dealerships. The ProMax Unlimited internet application integrates with dealership DMS systems and can be used effectively in large dealer group situations as well as single location dealerships. Dealer Marketing Services, Inc. also provides credit bureaus, website development and hosting, internet leads, and direct mail services to help dealerships increase traffic. Learn more about ProMax Unlimited and Dealer Marketing Services, Inc. at www.ProMaxUnlimited.com.